Photo: Inside Zay Cho Market. Mandalay’s main market, Zay Cho, is in a hideous five-storey brick and concrete building with a grungy, tungsten-lit interior. 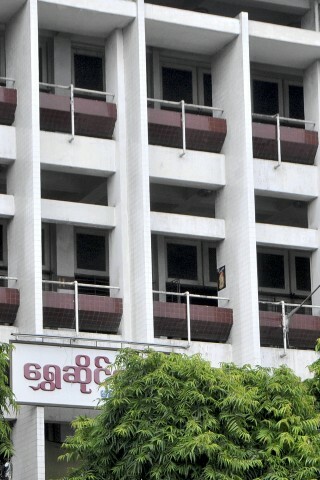 Browse places to stay in Mandalay on Booking.com. Book Now - Pay Only When You Stay. Nonetheless the market also known as Ze Cho, or Zegyo, is impressive by its size and worth a peek inside if you happen to be in that part of town. Sadly there’s none of the quaintness or photogenic light that picky tourists such as ourselves demand from a Burmese market and you would have more joy in those respects by seeking out some of Mandalay’s smaller, outdoor, back street markets. The name, however you want to spell it, translates as “sweet price” and not only is this the largest market in town, it’s also the oldest: A market has been on this location since the days of King Mindon. It’s to a large extent a wholesale market, with piles of Indian spices, Thai silk, Kachin jade and Chinese electronics on display. The plethora of food and spices on the ground floor is spectacular. Only the lower two floors and part of the third are occupied with the second floor being mostly mountains of clothes and rolls of brightly coloured fabrics. Vendors are friendly and helpful, which is fortunate as we do confess to getting completely lost inside. The main entrance is on 84th Street, immediately south of the busy clocktower junction, with stalls split between the newer, main section to the east of the road and a smaller part to the west. It makes for a good diversion if you’re walking down 26th Street to the riverside, but you will find more traditional markets elsewhere. Plenty of snacks and drinks stalls are found inside and around the edge.